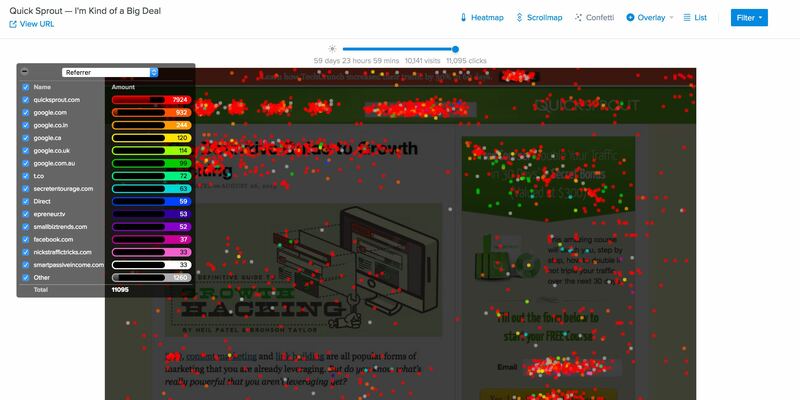 Confetti shows you, with pinpoint accuracy, where people are clicking on your webpages. Confetti website click report is a powerful report that not only shows where people click, but also provides valuable insights as to how they use your webpage. All visitors click, but the patterns in which they click and what they don't click on can tell you a lot about how your webpage communicates with them. By studying click patterns with the Confetti report, you'll learn how to craft an on-page experience that delights your visitors and increases your conversions and/or engagements. Meet your click mapping metrics selector! Easily switch between referring traffic sources, time to click, operating system and 17 other metrics to learn different on-page behaviors. Yep - we're UTM parameter friendly . See how people driven to your website from various campaigns behave - whether it's from paid advertising or an email campaign. Are people clicking on links and buttons that take them away from the webpage goal? 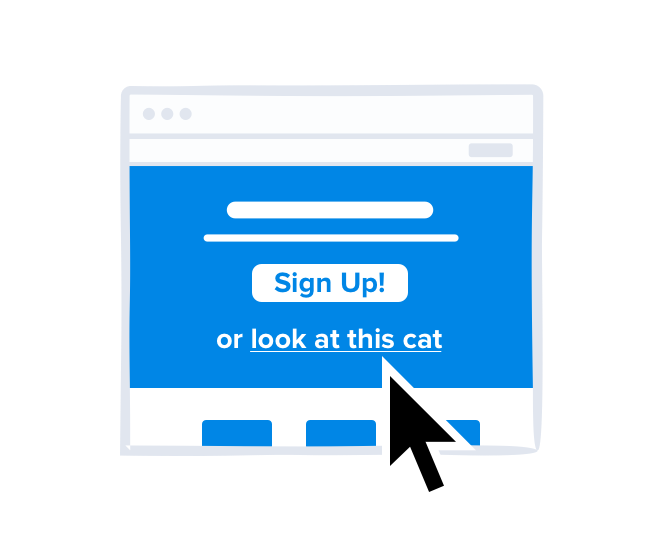 Quickly learn what webpage elements are distracting your visitors from taking the actions that drive revenue. What metrics can I track with confetti click mapping? Upon selecting any of the above metrics, your Confetti report will instantly re-populate with click data associated with the metric you've selected. Can Confetti track clicks from mobile devices? Yes! You can create specific reports to see click behavior for people who visit your site on their phones and even separate reports for people who visits your site on tablets. Regardless of whether you are currently using a responsive design or not. What do the different colored confetti dots mean? 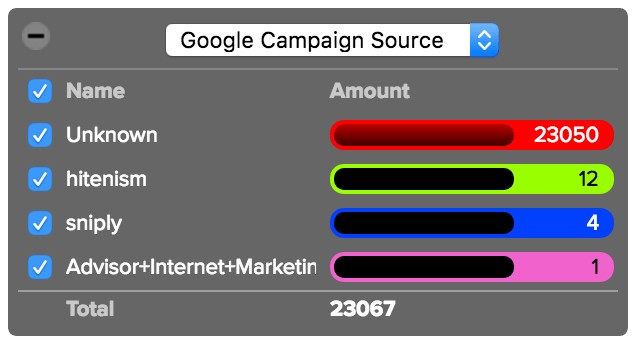 We color coded the Confetti report to show you how your clicks breakdown for the selected metric you're viewing. For example, if you selected the Country metric, each color would represent a visitor from a different nation. How should I use confetti click reports? Honestly, the best thing to do is pour yourself a cup of your favorite beverage and get prepared to spend some time in your Confetti report. 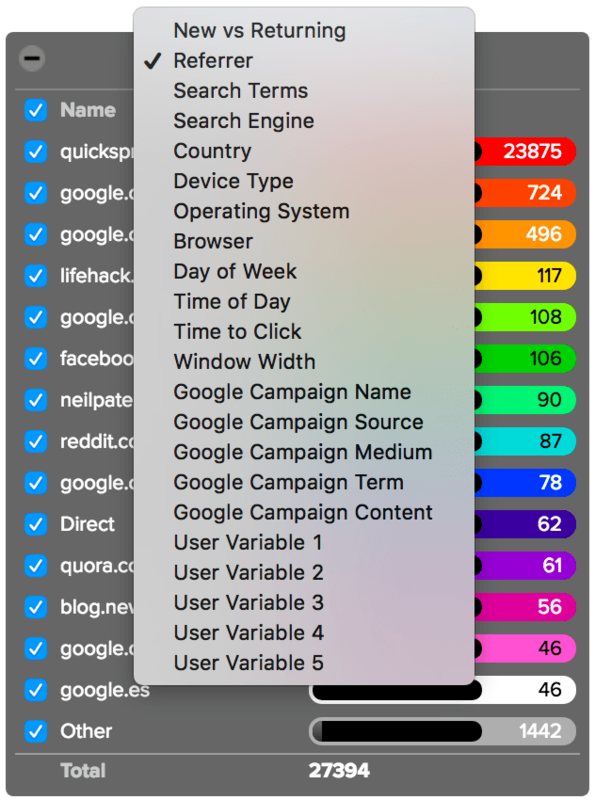 Go through each metric and carefully review the click patterns. You'll be surprised at how many insights you'll gather about your visitors. The best part of this report is it's 100% visual, so learning about your user behavior comes quickly. Find out where your visitors are getting stuck with confetti click reports.